A whole human lifetime on, in and around water: We dare you to try! 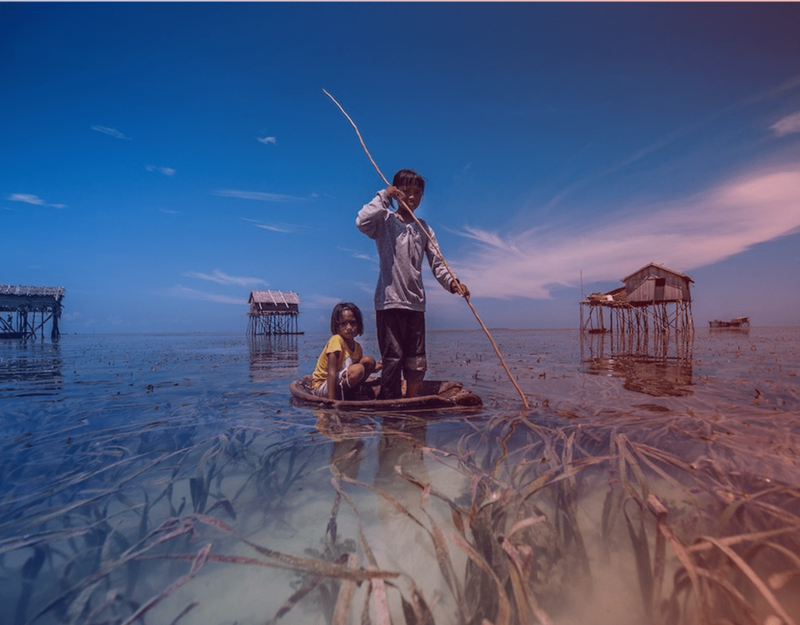 “Water water everywhere not a drop to drink”, these lines from a famous poem sound pitiful but this is the actual life of a community of Bajau people, who live by the North western part of Malaysia. These people see the sunrises and sunsets, pass their days, months and years by living in the seas only. Strange it sounds. Isn’t it? How do they live? What do they do to? How do they make money? How do they survive? Why do they do so? All such questions must have boggled your mind by now. Worry not peeps, read ahead to untangle your mind threads. The story is gonna leave you flabbergasted. They live in the seas by forming simple wooden structures around 2 metres above the water level. The village comprises of around 10-15 such housing structures. Some also live in the houseboats roaming all over in the sea. Women use the roof area as the clothes drying rack and it is also a spot for family members to sit and enjoy the cool evening breeze. How do they make their living? Fishing is their way. The routine of the male members of the family is to go out for fishing everyday and making their meals out of it. When they have enough of the fish stock, they go to the lands to trade it and buy some staples and other household items for the family. 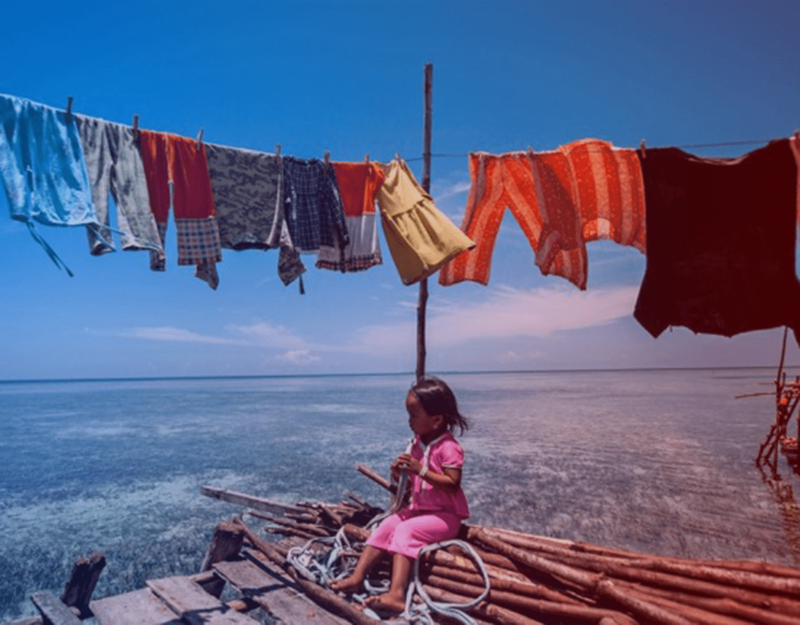 Bajau people believe that they are descended from royalty and hence the women of the community wear rich colors often made from traditional ‘dastar’ fabric. The more brightly and colorfully a woman is dressed, the more highly she is regarded. 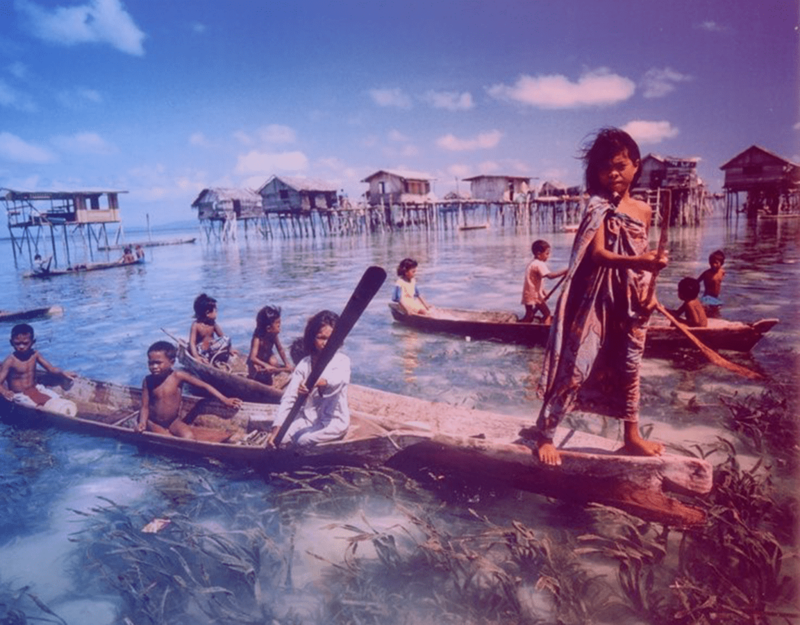 As women all over the world are more concerned about their beauty and appearance, the Bajau women are no less! They apply a sun protecting traditional masks over their face and rinse it off before applying make-up. Most of the people believe to be the descendants of Prophet Muhammad. They follow the Sunni Muslim way of religion. According to the religion of some, there are spirit mediums which connect the two worlds. And they sail the spirit boats into the seas to cast the offending spirit away from their community. They also worship the God of the sea, Omboh Dilaut. Bajau people don’t use calendars. They don’t know the exact ages of their family members. Rather they keep the track of position of stars and changing seasons to determine that an year has passed. 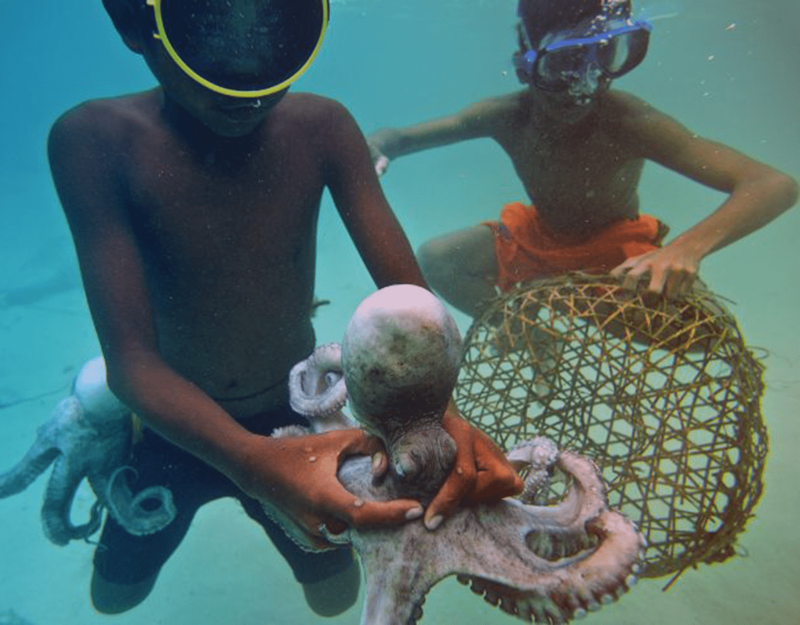 Children as young as four catch fish, octopus and lobsters from handmade boats off the eastern coast of Sabah, Malaysia. 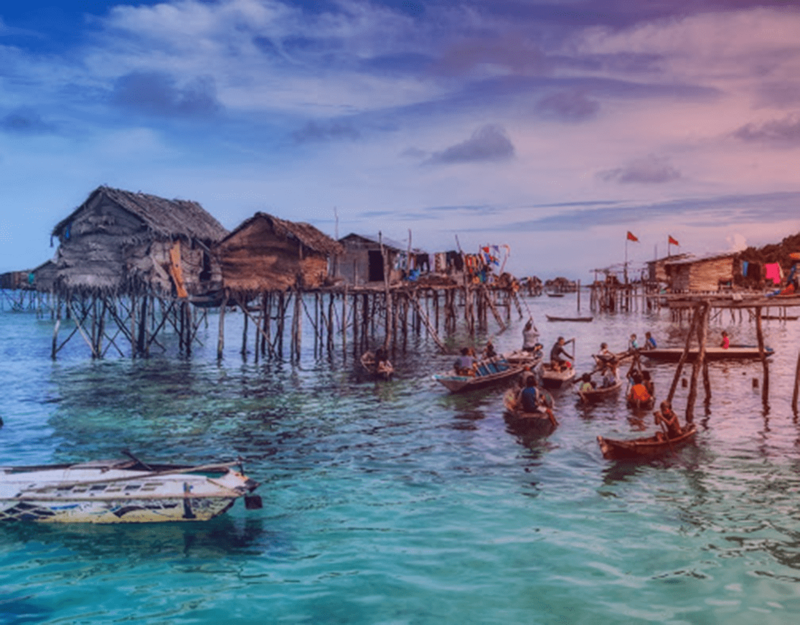 In search of a single fish, Bajau’s best free-divers may be able to dive to the depths of over 20 metres and stay there for several minutes on a single breath. 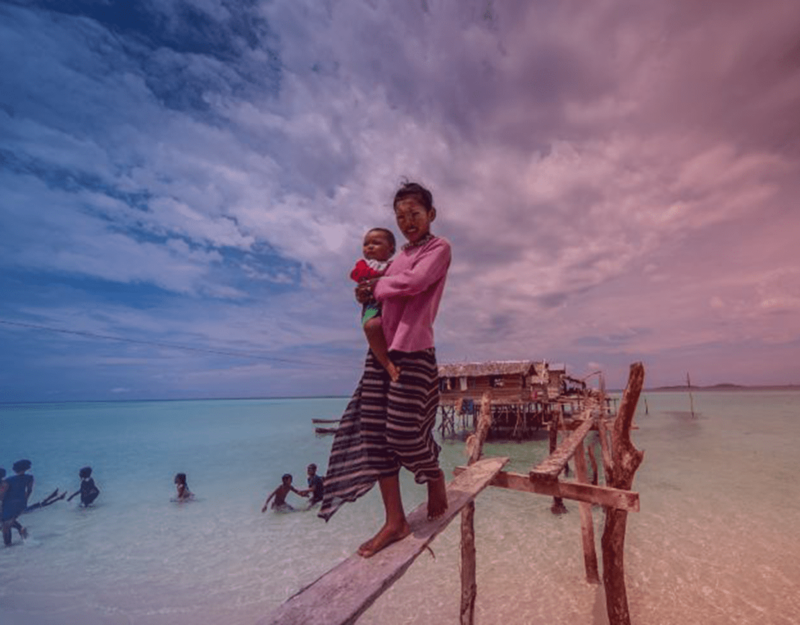 The sad news is that the Bajau children have no opportunity to go to school, so there are no future prospects for them. Also, the condition of oceans is worsened by using it as a living surface which is adding to environment’s deterioration. However, fighting the way of ethnic people floating on the seas of materialistic world does not seem to be a good idea though. 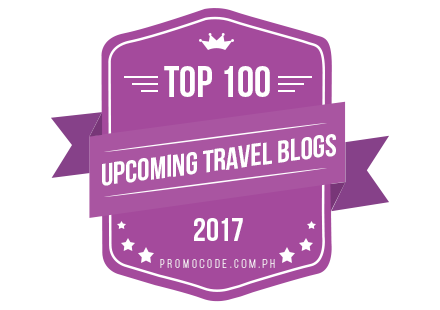 Previous ArticleWhat type of traveler are you?